InterNet Partners helps grow your business with successful branding and marketing strategies; providing you with the tools and use instruction so that you can execute the plan. 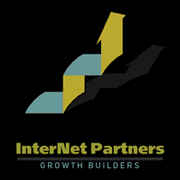 InterNet Partners helps our clients grow their business with strategies that generate more leads and sales. If you want to improve your corporate communications, increase market share, open new markets, improve touch with existing customers and derive incemental sales, then your next move should be to contact us today. "We help businesses grow. Period." Since 1995, we have a proven record with many types of companies and their online marketing efforts. We don't just help clients, we are clients ourselves. We happen to own some businesses and websites, so we walk the walk. Located in Dallas, Texas we have clients across the country. Travel, on-site visits and remote consulting are part of our program.